Qwest Tower in Sioux Falls is a modernist high-rise with 11 floors standing 174 feet high. It was built in 1986 but did not become the tallest building in South Dakota until 2005, when Zip Feed Mill was demolished. The mill had been 202 feet tall. Quest Tower originally had a white stone façade, but it was remodeled due to structural issues. 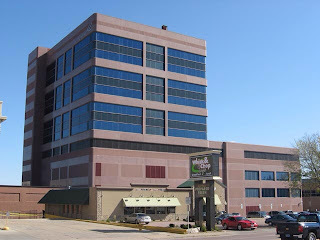 The building is currently owned by CenturyLink.